Make A Difference. Become An Active Member! Founded in 1982, Women for MACC (WMACC) is a non-profit charitable organization made up of the mothers, siblings, relatives and concerned women who fight childhood cancer and blood disorders by supporting the MACC Fund through fundraising events. Since the WMACC’s inception, they’ve contributed over $4.5 million dollars to the MACC Fund and annually raise on average $160,000. WMACC is run completely by dedicated volunteers and board members with administrative costs funded through yearly membership dues. After those expenses are paid, 100% of net proceeds are donated back to the MACC Fund. Our events play a significant role in supporting research for pediatric cancer and blood disorders to increase survival but live with fewer life-altering side effects after treatment. Help us make the kids future promising and even brighter by participating in one of our many events. Teaming up with Boston Store, Couture for a Cure, is a premier runway fashion show with an exceptional silent auction, wine pull and a trendy Boston Store Boutique featuring looks from the fashion show to purchase the day of, makeup stations, luncheon and a program at the Hyatt Regency in Milwaukee. 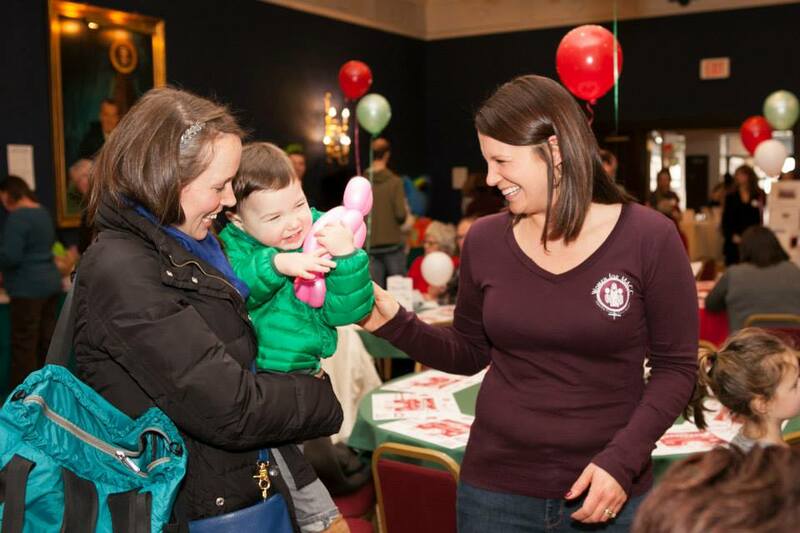 When you join Women for MACC, you’re committing to fight against pediatric cancer and blood disorders. Your membership dues provide the financial support necessary for WMACC’s operating expenses. All event profits and donations go directly to the MACC Fund. Members can help in a variety of ways with different degrees of time commitment from addressing envelopes, getting auction items and assisting with communication plans – there are plenty of opportunities to make a difference in the lives of children battling cancer. The WMACC teamed up with Mortensen Portrait Design to produce the Cute Kids Portrait Contest and Cue Kids Calendar, combining artistry and charitable giving. Mortensen Portrait Design will donate $15.00 of each portrait session, proceeds from all voting and 10% of all portrait sales to the WMACC. Book your Portrait session from February 1st-April 30th and $15 from the $39 fee is donated to the WMACC. Your child will be photographed in multiple posts in one outfit. A contest print (chosen by Mortenesen) will be displayed in the Cute Kids Exhibit at various locations and online for voting. Friends and Family can cast votes for $1 per vote. Winners will be announced at the Cute Kids Party where the kids can choose prizes donated by local businesses. In addition, all entrants will be judged by a panel of artists to be in the Cure Kids Calendar. Please note that general voting doe not decide who will be chosen for the calendar.